Since we're still living in a world where unlimited phone batteries don't exist—and a world where dogs are still super awesome—cell-savior Mophie is coming to SXSW with a pretty unique promotion. 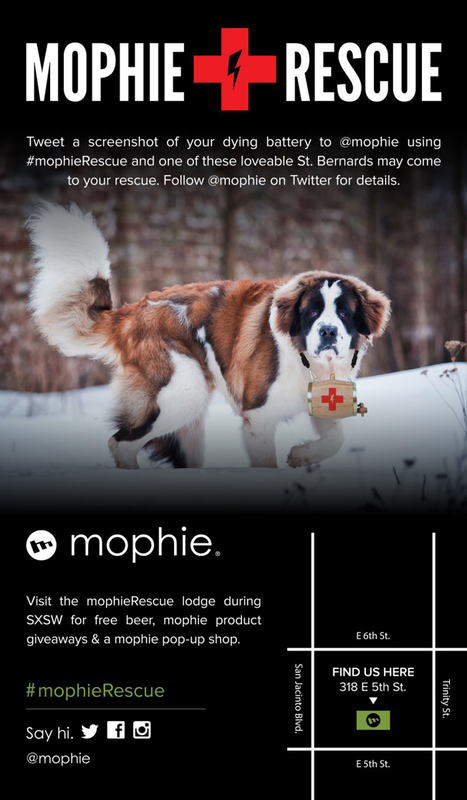 If you're in attendance, and need a little extra juice, you can tweet a screenshot of your dying battery from noon to 6 p.m. CT time on Friday and Saturday to @mophie with the hashtag #mophierescue, and they'll literally send a St. Bernard (the dogs known for saving people in the Alps) with a human equipped with a charger. 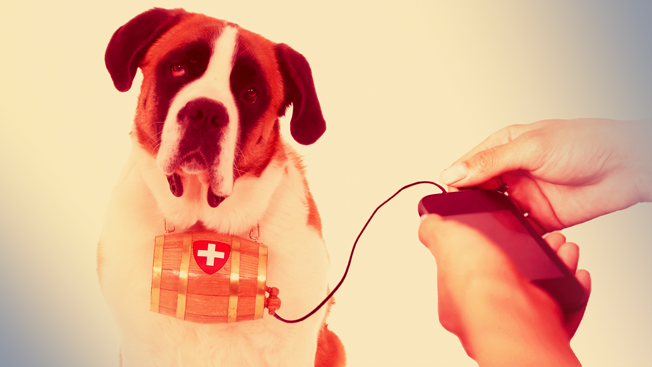 If you're selected, a dog from the St. Bernard Rescue Foundation will arrive with a Mophie Power Reserve to charge you up. Also, if you see one of these pups on the street, you can pose with them and send a tweet to be eligible for a prize. Mophie's Kevin Malinowski told USA Today, "They are obviously traditionally known for saving peoples' lives, so we took that and molded it into our own thing." He added, "So at the end of the day, it's Mophie and St. Bernards save the people of South By and the people save the St. Bernards."